The campaigner (pictured) made her comments following an investigation by the Daily Express which revealed ‘revenge evictions’ were being carried out by rogue providers seeking to silence claims of abuse and neglect. The Care Campaign for the Vulnerable founder told the Express: “The frequency of such malign and morally bankrupt behaviour is escalating. “Every single week I receive a complaint from a very agitated and anxious family telling me this is the course of action taken against their loved one. The investigation found that some residents were being evicted 28 days after families had raised fears about their treatment. According to the findings, some providers were issuing eviction notices to families because they did not want to deal with their concerns, which included unexplained injuries, poor quality care of staff shortages. 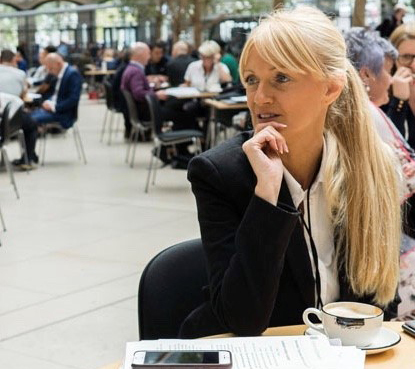 Jayne called for all care home residents to have the same protections from evictions granted by pending legislation to outlaw short-term evictions by private landlords. A spokesperson for the Department of Health and Social Care said: “People in care homes and their families rightly expect the highest standards of care and it is completely unacceptable for anyone to be forced to leave unfairly.